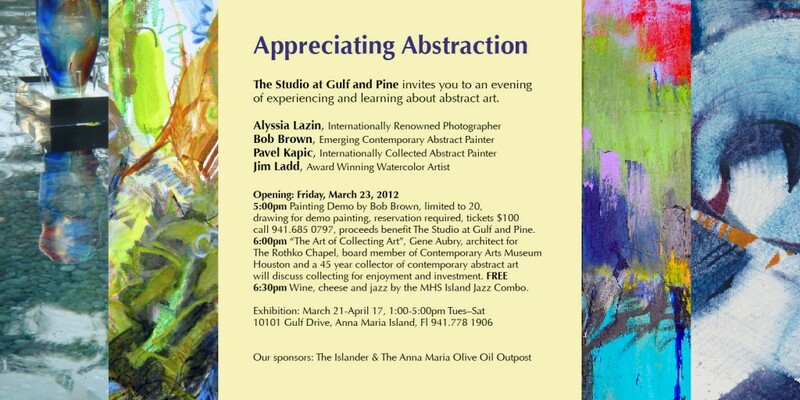 The Studio at Gulf and Pine invites you to an evening of experiencing and learning about abstract art. 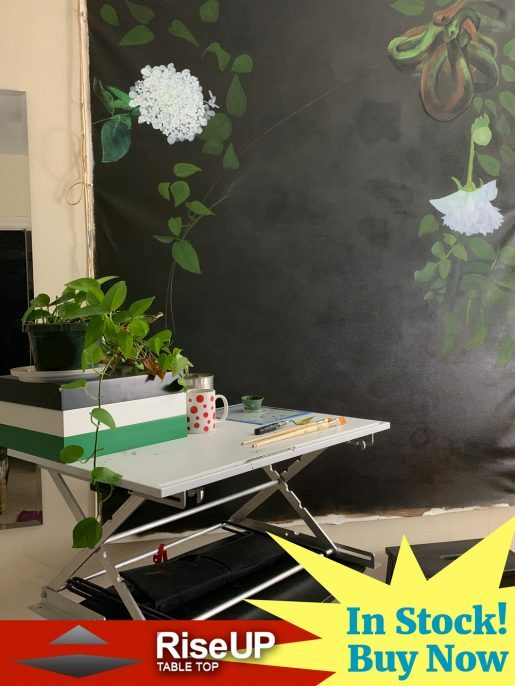 Exhibiting artists include: Alyssia Lazin (Internationally Renowned Photographer), Bob Brown (Emerging Contemporary Abstract Painter), Pavel Kapic (Internationally Collected Abstract Painter), Jim Ladd (Award Winning Watercolor Artist). Opening is Friday, March 23, 2012. 5:00pm – Painting Demo by Bob Brown, limited to 20, drawing for demo painting, reservations are required, tickets are $100. Call 941.685.0797, proceeds benefit The Studio at Gulf and Pine. 6:00pm – “The Art of Collecting”, Gene Aubry, architect for The Rothko Chapel, board member of Contemporary Arts Museum Houston and a 45 year collector of contemporary abstract art will discuss collecting for enjoyment and investment. 6:30pm – FREE Wine, cheese and jazz by the MHS Island Jazz Combo.